Located along the Kalamazoo River, this project is a major reconstruction and addition to an existing non-conforming home. 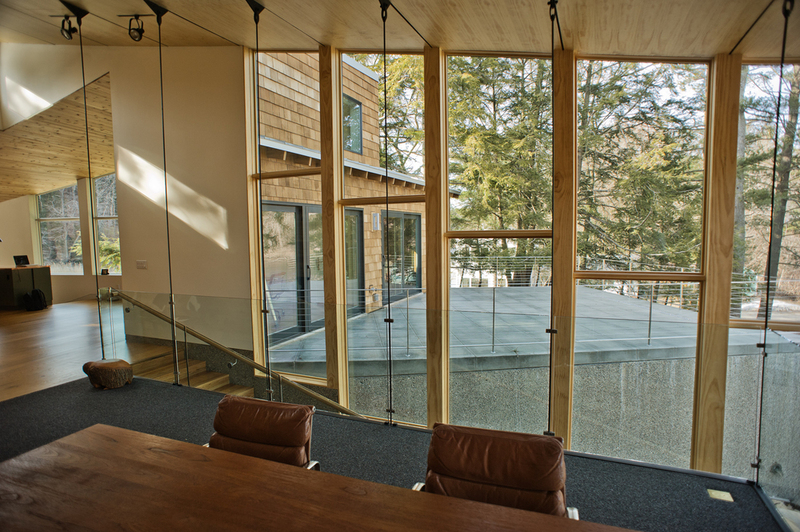 The non-conformity was a key factor in maintaining this home’s proximity and close access to the River. Analyzing the immediate site and contiguous sites (protected land, pond, river, and privately-owned meadow) yielded a solution that refocussed views to 4 primary site features. The new home is also a coalescing of construction activity on this site which began over a hundred years ago when a summer fishing cabin was built in the early 1900’s. Each modification over the years has occurred to meet the needs of the owners’ family growth, much in the tradition of early home building. Being creative entrepreneurs (a former Herman Miller executive and an owner of a highly regarded regional arts and craft store called Good Goods), it only seemed natural to evolve what became known as “the prototype.” The prototype became the footprint upon which we redesigned the home - taking cues from the original, but maximizing access and connection to the outdoors and views. 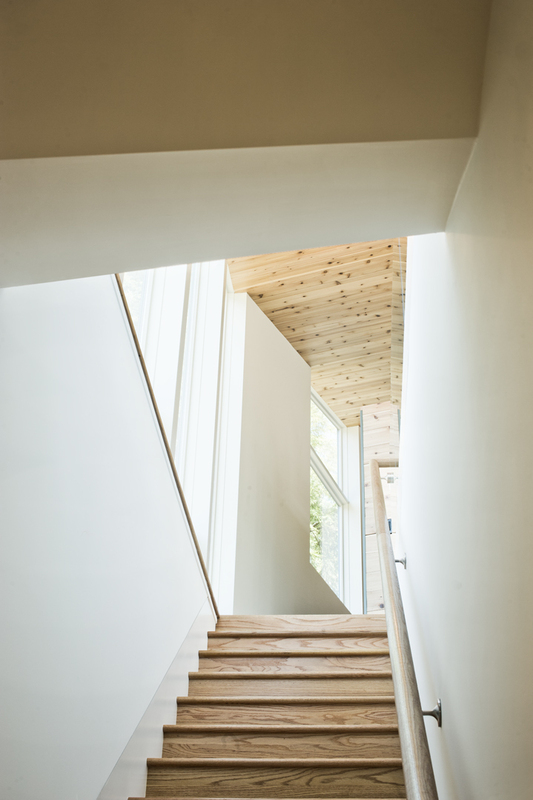 The 5-level home contains materials salvaged from the original: interior cedar panels and 2 mature oak trees as variable width oak flooring and stairs. 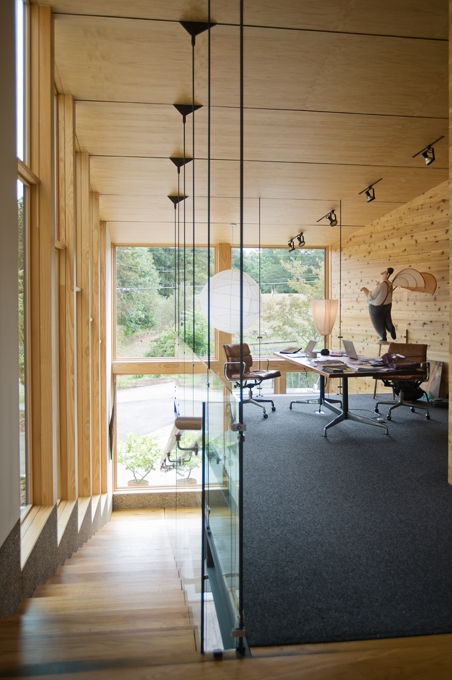 Given the home’s location along a high-banked river, we were able to capitalize on very efficient seasonal and hourly natural ventilation patterns. The home’s angular forms and interior volumes are designed to promote the best air capture and flow.